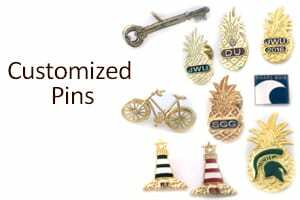 Pineapple Pins have been a symbol of hospitality since the days of the early American colonies. The legend began with the sea captains of New England, who sailed to the Caribbean Islands and returned to the colonies with exotic fruits and spices. When clipper ships returned to port, their families would spear a precious pineapple on their iron gatepost as a common symbol to welcome friends and neighbors into their homes. The possibilities are truly endless. Pins By Frank will work with you to make YOUR custom made pin and make it your own. Once upon a time, there was a wise man who went to the ocean each day to do his writing. He had a habit of walking on the beach before he began his work. One day, as he was walking along the shore, he looked down the beach and saw a human figure moving like a dancer. He smiled to himself at the thought of someone who would dance to the day, so he walked faster to catch up. I’m sorry I haven’t had a chance to email you. YES, I got the pins and absolutely LOVE them!! Thank you so much! I’ve showed them off like crazy! I really appreciate the great service and attention to detail in the final product. 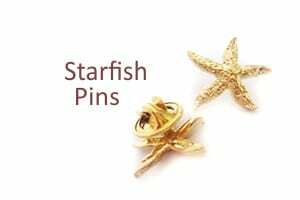 I will definitely contact you for more pins and/or more projects in the future! Thanks again! Lackawanna College, located in Scranton, Pennsylvania is catching employees doing something right! 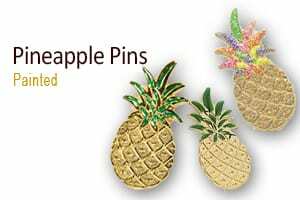 Members of the College family are encouraged to award pineapple pins to a member of the administration, staff, faculty or student body caught in an act of hospitality towards another. Everyone checks to see who has pins and how they got them. It has increased the energy and hospitality of the entire College. We love buying from Pins by Frank! Thank you for always having the best customer service and quick response time. We’ve been ordering pineapple pins for our employee reward program the past 3 years and have experienced nothing but the best when dealing with your company. Keep up the amazing work and thank you for being a fantastic vendor. Feel free to send us an email at Marie@pinsbyfrank.com or fill out the quick form below to get the conversation started or request a free quote.